The investment industry and overall investment landscape have changed. They are much more global in nature, both for investments and how companies think about the competitive landscape. Technology has also made it easier for investors around the world to access information, which makes it a much more competitive investment arena for clients to invest money. These challenges are the most interesting part of my day. The goal is to keep focused on the longer-term investment plan and not let a particular market or investment class result in the short-term dictate how you manage for the long term. Working with individuals and using investments to help them meet their goals. We serve clients well in that we have a great ability to work together to understand, connect with and serve our clients. Each client is unique and presents his or her own challenges and rewards. All clients have life experiences that form their risk tolerance and other aspects of their financial plan. It combines my math strength with my interest in behavioral investing while getting to serve and educate clients. Slow and steady wins the race. (I have been the rabbit and I have been the tortoise.) Sometimes you have to be the wise owl that observes and reflects on what you have heard or read but not to act too quickly. Many investors don’t do as well as they could since they react to news and then buy in and sell out when it is not in their best interest. Teaching golf. While I don’t imagine playing professionally, this would combine my love of golf with my enjoyment of teaching. And, like investing, golf is very much a risk/reward game. I enjoy golf when the weather permits, travel, and volunteering. I believe strongly in financial education and it is what drives my volunteering efforts. I teach general financial education and planning principles on a basic level through my local church and also work with Habitat for Humanity. David has more than a decade of experience in the investment industry on the individual and institutional level. At Miller Advisors, David leads the Investment Strategy Committee and manages the investment research and selection, economic analysis, and portfolio supervision. In addition, he analyzes client investments and recommends integrated financial investments and tax strategies. He looks at portfolios comprehensively in regards to allocation, strategy, investment selection, and tax management. 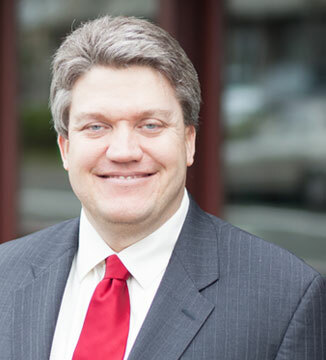 David started his career with Charles Schwab and worked in their Private Client Services department before joining an investment firm in Seattle, handling investment analysis, investment research and portfolio management. He has an undergraduate degree in Finance with a minor in Political Science from San Diego State University, a Master’s of Business Administration in Global Finance from Thunderbird, and he holds the Chartered Financial Analyst designation. While working on his MBA, David interned with Arizona PSPRS as an investment associate and a member of the Investment Committee.